In general, applications to finance a condominium unit are very similar to those approved for say a single family home as it relates to income, credit and assets. Yet at the same time the lender evaluates the individual applicant the lender also evaluates the property being financed. All properties will require a property appraisal at varying degrees to determine the property’s current condition and marketability. With a single family home sitting on its own lot, the owners own both the home and the lot on which it sits. With a condo, it’s a little different than that. A condominium project has more than one owner. The individual condominium unit owner owns the interior space of the unit, so-called “walls in.” Yet condominiums also have other areas referred to as “common areas” such as sidewalks, swimming pools, management offices and workout facilities. So, if individual owners have 100% ownership of the interior, who owns the other space? With a condominium project, common areas have equal, shared ownership with all the owners in the project. If there are 100 units in a project and there is a pool and a workout facility, each owner has a 1/100th percent ownership in the pool and the workout facility. Condominium owners follow rules established and managed by the condo association management. Such rules are referred to as CC&Rs which stands for covenants, conditions and restrictions. Owners must follow these rules or otherwise may be fined or worse, have their ownership compromised. For example, there may be a rule that the unit can’t be rented out for more than 30 days at a time or that the exterior colors of the front door cannot be changed and must be a specific shade. Buyers can obtain condo financing from most any mortgage company and most such loans are considered “warrantable.” This classification means the project and the individual units have met predetermined guidelines. Condos that are warrantable and meet these guidelines will receive more favorable financing terms compared to a non-warrantable condo. Non-Warrantable Condos Most condo loans issued today follow guidelines issued by Fannie Mae and Freddie Mac as long as the project is warrantable. What exactly does the phrase warrantable mean? For borrowers who wish to seek the best financing available, the mortgage company will review the project to determine whether or not the project does conform to conventional guidelines. Here are the most common requirements: No entity can own more than 10% of the units in an entire project. This includes the developer. For example, if there are 200 units in the project, no single entity can own more than 20 units. If an entity owns 21, the project is then non-warrantable. The majority of the units must be owner occupied. This means 51% and using the same example, if more than 100 of the units are rented out, the project is non-warrantable. Warrantable condos must also determine whether or not any owners are delinquent with their homeowner’s association dues and if there are, there can’t be 15% or more in arrears. There must be no current or pending litigation involving the homeowners association. Commercial space must be limited to 25% of the total livable square footage of the project. Minimum insurance coverage for common areas and liability policy of at least $1 million. Lenders will send out a questionnaire to the management association of the condominium which asks these questions and then returned to the lender for evaluation. The project must meet all the guidelines before achieving approval status. Condotels are named as such because the subject property is a hotel that includes individual condominium units. From the exterior it might be difficult to determine if a building is a condotel, hotel or condo but most all condotels have a check-in desk on the first floor which looks exactly like what one would find in a hotel. Also on site is a sales and management company that sells individual units in the building and manages the condominium. In either a condotels or non-warrantable, there are financing options available. Such loans are adjustable rate loans in the form of hybrids. A hybrid mortgage is an ARM that is fixed for an initial period before changing into a loan that can adjust once per year. Typical initial fixed rates are for 3,5 and 7 years, amortized over a 30 year term. 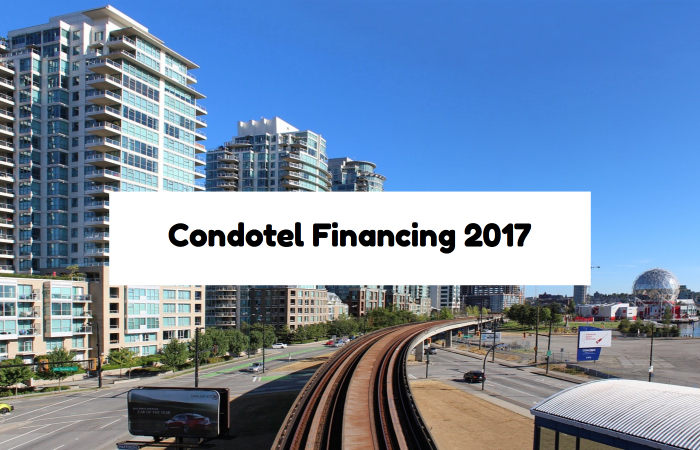 Financing a condotel unit or non-warrantable condo will require a down payment of at least 25% of the sales price of the home. Rates for these loans will be slightly higher compared to a warrantable condo. Some loan programs accept a condominium projects initial approval without the requirement of a brand new condominium questionnaire. For example, in the instance of VA and FHA financing, if the property was previously approved it will appear in an online database showing. Potential buyers simply log onto their site, type in the property address and see if the project has previously been approved as eligible for VA and FHA financing. Today, most developers are very aware of how to get a project approved by Fannie, Freddie, VA and FHA and follow warrantable guidelines previously mentioned. Yet if the project, for whatever reason, does not fit the warrantable mode, there are still options. If you’re looking at a project it’s a good idea to speak with your loan officer in advance to see if any additional preparation is needed.